Arranged by Amy Hite. Christmas. 22 pages. Published by Amy Hite (S0.96501). 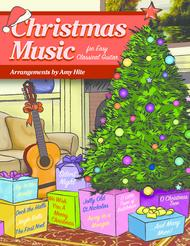 This is a collection of twenty-four Christmas songs arranged for easy classical guitar. 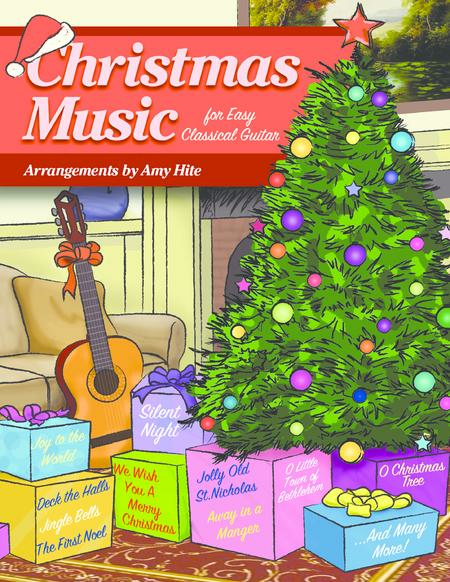 There are many arrangements of Christmas songs out there that claim to be for "easy classical guitar" that are too difficult for beginners to play. This collection is well suited for beginner and intermediate guitarists as the melodies are harmonized with open bass notes and chords that are easy enough for the hands of a beginner student. The arrangements are colorful, festive, and fun to play. Contents: Angels We Have Heard on High, Auld Lang Syne, Away in a Manger, Carol of the Bells, Deck the Halls, The First Noel, Gabriel's Message, God Rest Ye Merry Gentlemen, Good King Wenceslas, Hark, the Herald Angels Sing, Here We Come a Wassailing, The Holly and the Ivy, I Saw Three Ships Come Sailing In, Jingle Bells, Jolly Old St. Nicholas, Joy to the World, O Christmas Tree, O Come, All Ye Faithful, O Come, O Come Emmanuel, O Little Town of Bethlehem, Silent Night, Up on the Housetop, We Three Kings, We Wish You a Merry Christmas.